This comic is late because I ran an eight hour D&D game. No regrets! Aging, however, that I regret. Turn it off. Turn it off now. 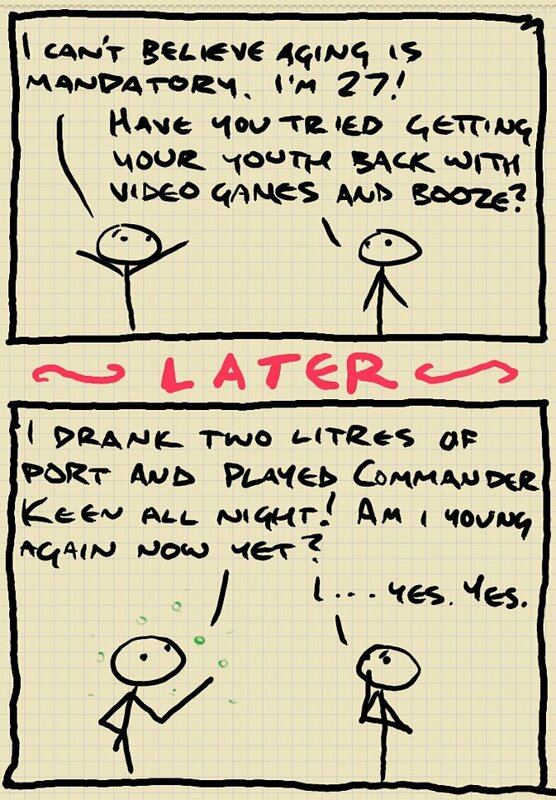 This comic was posted in Comics and tagged birthday, commander keen, i once drank an obscene amount of port and then used my stomach to fertilise my entire backyard lawn, i wanted a pogo stick so badly when i was young commander keen was all like my hero and junk, port.